Jiji Maa Falguni Suyash’s love will be reviving by Laddoo’s efforts. Suyash enters the storeroom and finds Uttara Devi in her house. She confronts Falguni for this and asks her how can she do this. He is in shock seeing her. Suyash doesn’t listen to her. She has forgotten Uttara’s crimes and wants to help her. Falguni shows a big heart and gives a shelter to Uttara. 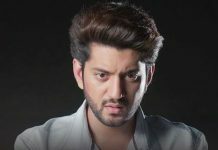 Suyash gets raging on Falguni. Suyash tells her that he can’t forgive her for ruining his feelings. He is upset that she is still supportive Uttara. She asks him if she never valued Govind in her life. She doesn’t want to hear any apology from her. He tells her that she has been selfish to act great and risk others’ lives. He is fed up and blames her for hurting his heart again. He tells her that he will never ever forgive Uttara, even if she has lost her mental balance. Falguni’s employee misbehaves with her. She scolds him for his low thinking. She asks him does he think he can take advantage of any woman. The man apologizes to her when she threatens to call the police. Suyash gets to witness this. He gets angry on the man and bashes him up. He makes it clear that none should misbehave with Falguni. He threatens to kill him. Falguni gets to see Suyash’s love for her. Laddoo gets tortured by his mum, who tells him that his work at Falguni’s house is over. Falguni tries to protect Laddoo. She gets to hear Chamki’s words and wonders what did she mean. She wants to know the truth behind Chamki’s plan to send Laddoo home. Falguni grows her doubts about Laddoo’s parents, who have hidden intentions to harm Suyash. Will she find out about Suyash’s enemy Abhishek and fail his evil plans? Keep reading.